With a positive fiscal year, things are looking up for Ubisoft and its fans. 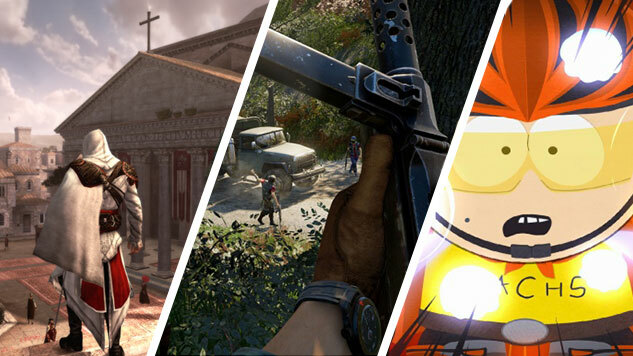 Fan-favorite franchises Assassin’s Creed and Far Cry will make their return on Ubisoft’s lineup by 2018. “In 2017-18 we will see the exciting returns of Assassin’s Creed, Far Cry, The Crew and South Park,” CEO Yves Guillemot said in a statement accompanying Ubisoft’s reported sales and earning figures from the past fiscal year. Assassin’s Creed saw its last core game release in 2015 with the story of Victorian twins Jacob and Evie Frye in Assassin’s Creed: Syndicate. In 2016, the franchise saw the release of spin-off titles Assassin’s Creed Chronicles: India and Russia, straying away from the yearly core-title release, which had been noted by critics and fans to be formulaic. The forthcoming title, reportedly named Assassin’s Creed: Origins, is rumored to be set in Egypt. We previously reported on recent leaks that included a screenshot of the game and claimed that it’ll be fully revealed at Ubisoft’s E3 Expo show this year. The next Far Cry already has a significant amount of buzz, with rumors on NeoGAF speculating it’ll be similar to Red Dead Redemption 2. The western theme has yet to be confirmed or denied, but tips from Giant Bomb and Kotaku’s Jason Schreier both say the game will be set in Montana. Ubisoft has yet to confirm any details regarding the title. Guillemot’s statement also sheds light on another title in the dark: South Park: The Fractured but Whole. Originally slated for release this past March, Ubisoft delayed the title once more in February. While it still doesn’t have an official release date, it does have some hope for the coming year. All of these titles are likely to have more information revealed at Ubisoft’s E3 Expo conference this year. Ubisoft is the only remaining gaming giant to reveal their show time. For more E3, check out all of our coverage.